Listen to their highly-anticipated Black Panther movie collaboration. Kendrick Lamar and The Weeknd have released their highly-anticipated collaboration ‘Pray For Me’ taken from the forthcoming ‘Black Panther: The Album’ soundtrack. The TDE and XO pair, who previously collaborated on The Weeknd’s single ‘Sidewalks’, have linked up again over some cinematic production by Matt Schaeffer, Cardo, Cubeatz, and Sounwave. 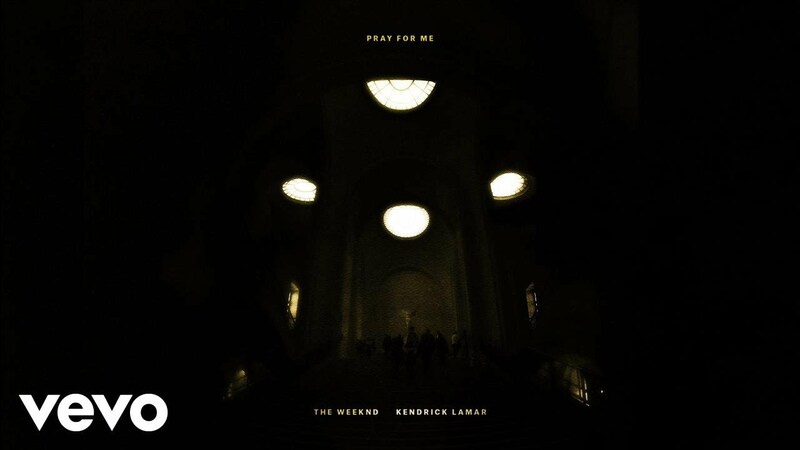 Listen to ‘Pray For Me’ above. The Weeknd kicks off the song with haunting vocals: "I'm always ready for a war again, Go down that road again, It's all the same, I'm always ready to take a life again, You know I'll ride again". Kendrick Lamar later adds a typically ferocious verse: "I fight the world, I fight you, I fight myself, I fight God, just tell me how many burdens left, I fight pain and hurricanes, today I wept, I'm tryna fight back tears, flood on my doorsteps," he raps. The track is taken from the Black Panther movie soundtrack, which is curated and produced by Kendrick, TDE and Antony “Top Dawg” Tiffith. The album will also feature songs by featuring Future, Jorja Smith, ScHoolboy Q, Travis Scott, 2 Chainz, Khalid, Swae Lee, and more. The soundtrack will be released on 9th February, while the Ryan Coogler-directed movie, will be released in cinemas on 16th February.